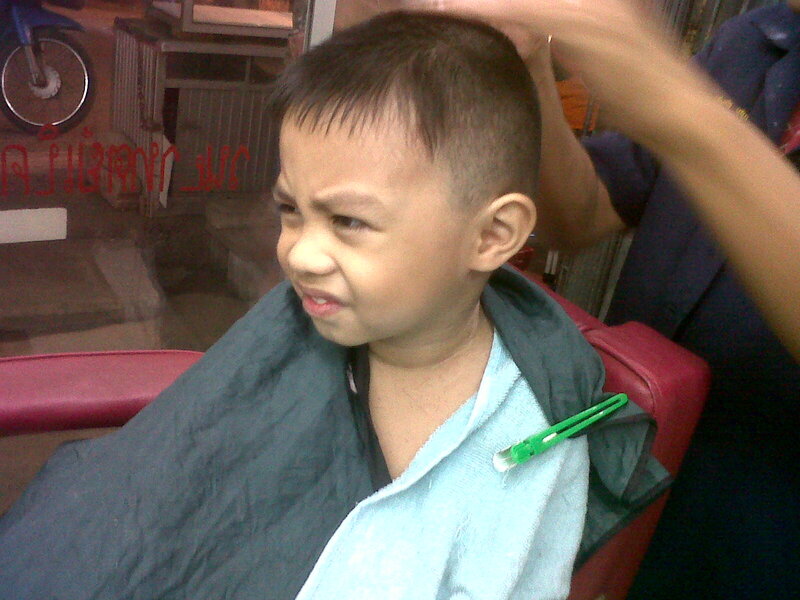 A couple of days ago, we did bring Jaden to the barber shop to have his new haircut. Last two months he got a semi-skinhead haircut and it turned out good looking to him. But then, we decided to have another style and see if this too will turns to be awesome look for him. 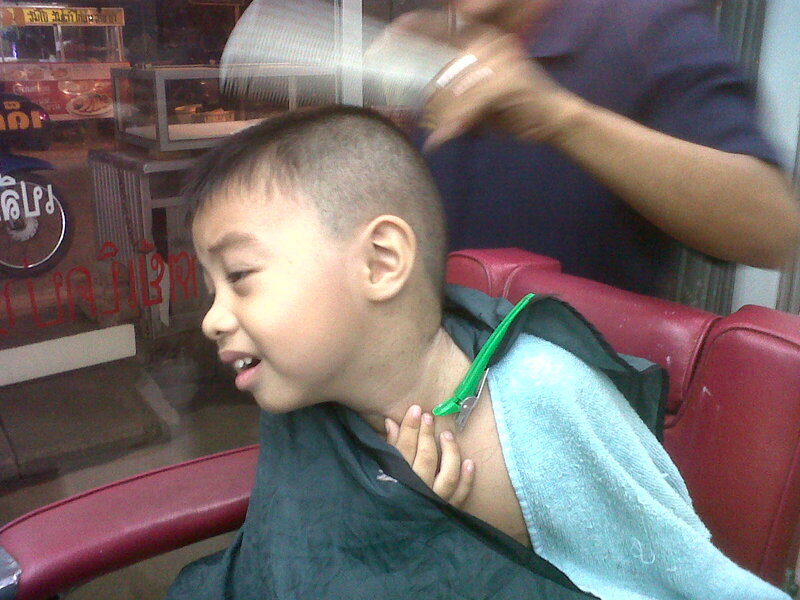 We were glad to see after the cutting session and the nice outcome for his head. I think he really likes it too. This time my phone won't allow not to take this new look of our son. 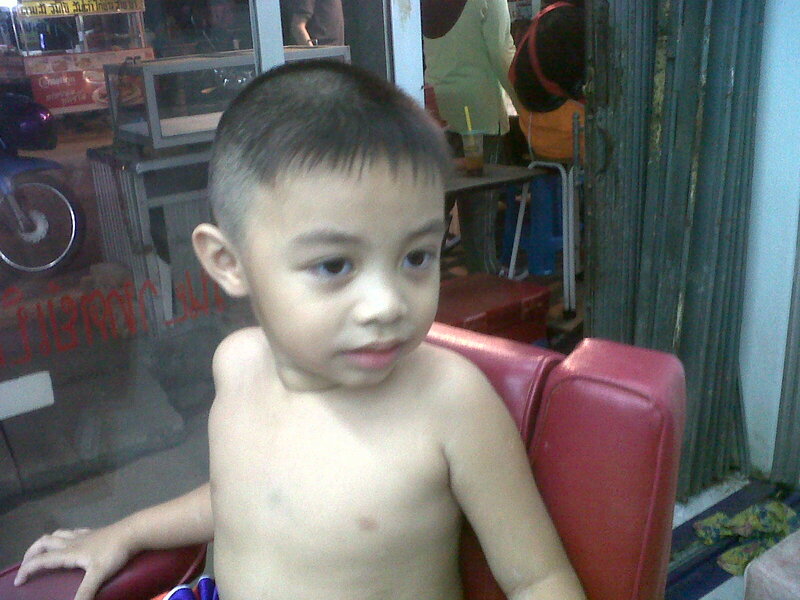 Here's his new look on his new haircut. Nice haircut. He will be a heart crusher when older.